Now that the weather is getting cooler, people are going to be spending more time indoors. One of the most exciting things to do indoors, of course, is to play video games. Whether you have an Xbox, a PlayStation, or a Wii, you know how important it is to have a good, comfortable place to sit and play the games. Rest assured that Fombags are the ideal solution for all of your home gaming needs. A Fombag can take you from Level 1 to Level 200 without skipping a beat. You won’t have to worry about having to reposition yourself because your back hurts. You won’t have to worry about getting up for any reason. (Except maybe to get some food!) Fombags are perfect for all of your gaming marathons. the right place for them to sit and level up. With sizes ranging from four feet to eight feet (and many sizes in between!) you’ll be able to find the right Fombag for all of your gaming needs. Higher quality sacks at better price. It's about time there was an improvement. fômbags are packed with high quality, high density foam. We have lots of sack sizes you'll love, including our most popular 6 ft foam sac. Choose between high quality microsuede, micro fiber, or textured covers. Take our money back guarantee for a test run. Go Heavy, Go Round, Go fombag! Celebrate Earth Day with Fombag Fun! Can’t Wait for Vacation? Relax in a Fombag! 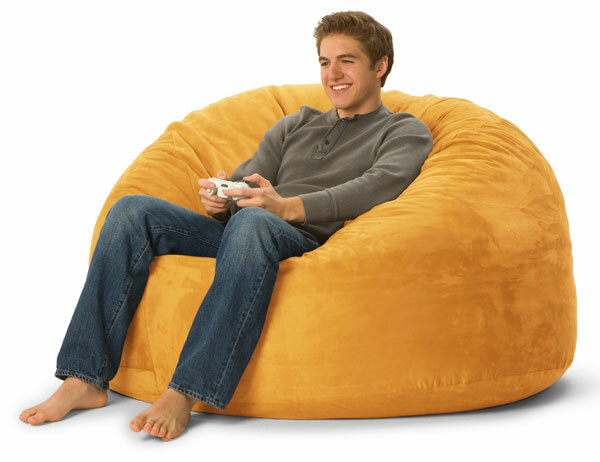 Bean Bag Chairs: The Perfect Invention!